Habitat - Roadsides, dry woods, waste places, disturbed sites. Other information - This common species can be found throughout Alabama and is probably in every county. 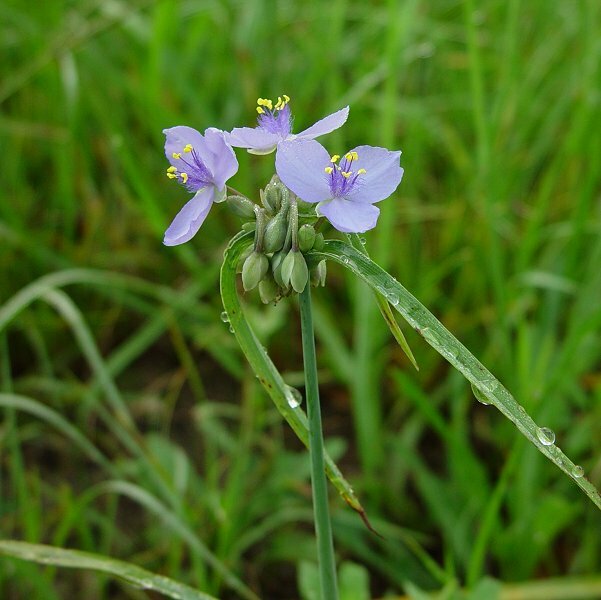 The plant can be identified by its glabrous stems, thin leaves, blue flowers, and glabrous calices. 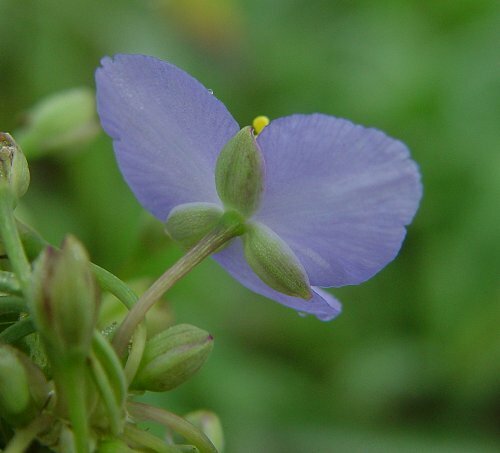 The sepals of the calyx are either entirely glabrous or have just a few long hairs at thier apices. 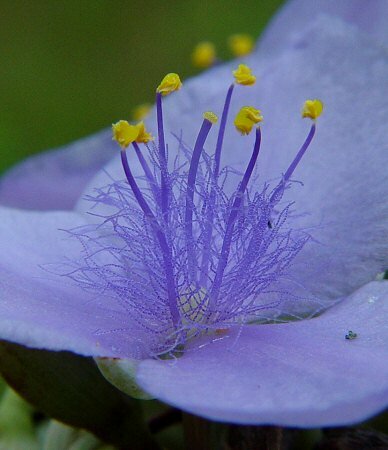 The species epithet ohiensis means "from (of) Ohio" from the Latin "ens(e)(is)" meaning "of, belonging to." 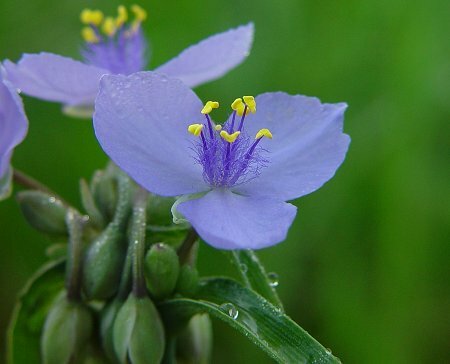 The genus name Tradescantia is given in honor of John (the elder) Tradescant (ca 1570's - 1638) of England. Tradescant was head gardener to the Earl of Salisbury and he traveled much to collect new and interesting plants. His collection of plants and other curious objects became the first public museum in England - the Musaeum Tradescantianum. Tradescant and his son John (the younger) introduced many plants into cultivation and most are still mainstays of gardening world-wide.